(Natural News) Foods and drinks labeled “low-fat” and “diet” are not helping you lose weight, but actually, do the opposite. These products contain artificial sweeteners that actually cause fat accumulation and unwanted weight gain. These side effects are especially pronounced in people who are already obese. Researchers looked at the effect of sucralose, an artificial sweetener, on stem cells collected from human fat tissue. These cells can transform into fat cells, muscle cells, cartilage, or bone depending on their environment. They put the stem cells into Petri dishes with a dose of sucralose of a similar concentration as is found in the blood of people who consume a lot of artificially-sweetened foods and drinks, or about four cans of diet soda every day. Twelve days after the administration of sucralose, the researchers discovered that there was increased expression of genes indicating inflammation and production. The researchers carried out an investigation of abdominal fat biopsy samples from four obese and four healthy subjects who regularly consumed low-calorie sweeteners. Through this analysis, researchers found that these subjects had increased expression of fat-producing genes. 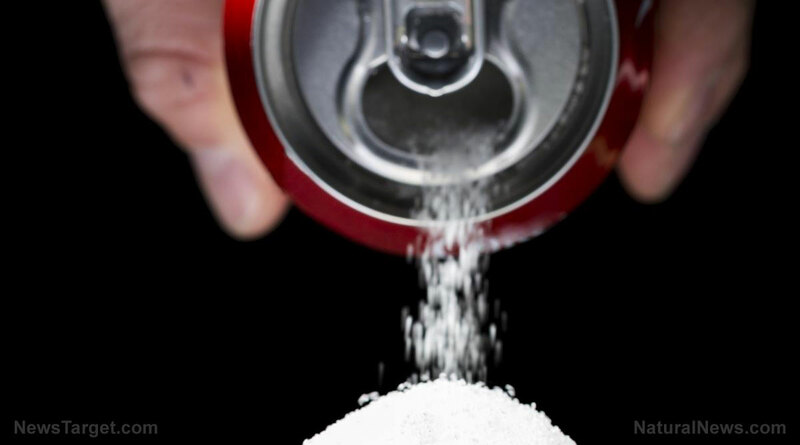 The subjects also exhibited increased sugar transport into their cells in comparison to biopsies from subjects who do not consume artificial sweeteners. Furthermore, since a lot of artificial sweeteners are much sweeter than actual sugar, these chemicals increase the expression of taste receptors, triggering high blood sugar. In the study, those who consume artificial sweeteners had their expression of taste receptors increase by up to 2.5 times. In addition to promoting fat storage, the artificial sweetener aspartame accounts for 75 percent of all reported negative food reactions, such as headaches, dizziness, vision loss, loss of memory, seizures, fatigue, cancer, and sudden death. Acesulfame potassium – Found in soft drinks, gelatins, chewing gum, and frozen desserts, this artificial sweetener has been linked to cancer. Acesulfame potassium is sold in the market in the names Sunett and Sweet One. High-fructose corn syrup – This chemical sweetener contains 17 calories per teaspoon and has been found to contribute to obesity more than sucrose. It can be found in cereals, desserts, and sodas. Neotame – Neotame is around 7,000 to 13,000 times sweeter than table sugar and is made by the same company that produces aspartame. It can be found in some beverages, dairy products, frozen desserts, puddings, and fruit juices. Saccharin – Also known as Sweet’N Low, saccharin does not contain any calories but has been linked to bladder cancer. It can be found in drinks, canned goods, and candies. Fruits – Fruits contain fructose that is rich in fiber, vitamins, and minerals, making them the healthiest source of sugar. You can eat them as snacks or use them to add sweetness to your dishes. Honey – Honey contains many vitamins and minerals and does not increase blood sugar levels as fast as other sweet products. Agave nectar – Agave nectar is obtained from the agave cactus. Although its taste and texture are similar to honey, it does not contain as many antioxidants as honey. It is sweeter than sugar and is unlikely to cause blood sugar spikes. Read more news stories and studies on the adverse effects of artificial sweeteners on health by going to Sweeteners.news.